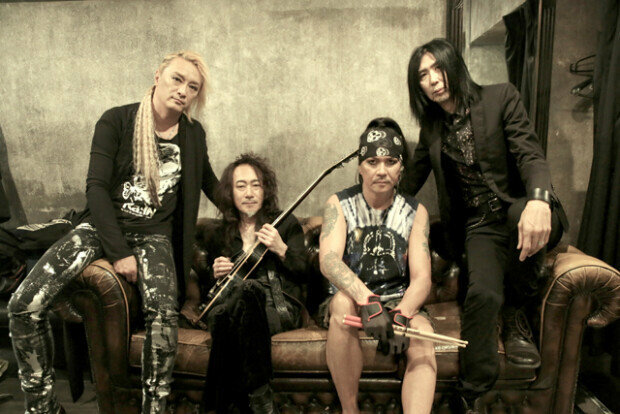 X-Japan guitarist Pata to visit Korea for concert. July. 13, 2018 07:49. imi@donga.com. Japan’s legendary heavy metal band X-Japan’s guitarist Pata will be having his first concert in Korea with his band. Tripper Sound, a recording company, announced on Thursday that a joint rock concert between Korea and Japan would be held at the Prism Plus Hall in Mapo-gu, Seoul on September 8. Among the participants of the concert, the heavy metal band “Ra:IN,” lead by Pata draws most attention. Pata participated as a member of X-Japan when the band visited Korea for a concert in 2011 but this is the first time for Pata to stand on stage by himself. Ra:IN is a four-member band that was established with Pata in the center on 2002, which is five years after the dissolution of X-Japan. The band has been releasing albums and making overseas tours. Pata was in charge of the guitar in X-Japan with Hide, who had passed away at an early age in 1997. After since X-Japan was reunited in 2007, Pata has been actively playing the guitar along with other activities. Jirorin, famous bassist of Japan, will also be participating at this concert. He is a professional musician in charge of the bass guitar for Hide, Hotei Tomoyasu, as well as Seo Tai-ji and TVXQ!. The tickets for the concert will be available from 2:00 p.m. on Friday at ticket.melon.com. Tickets are expected to be sold out fast as the concert hall can accommodate 200 people.